CHICAGO (Jan. 30, 2017) – The Rev. 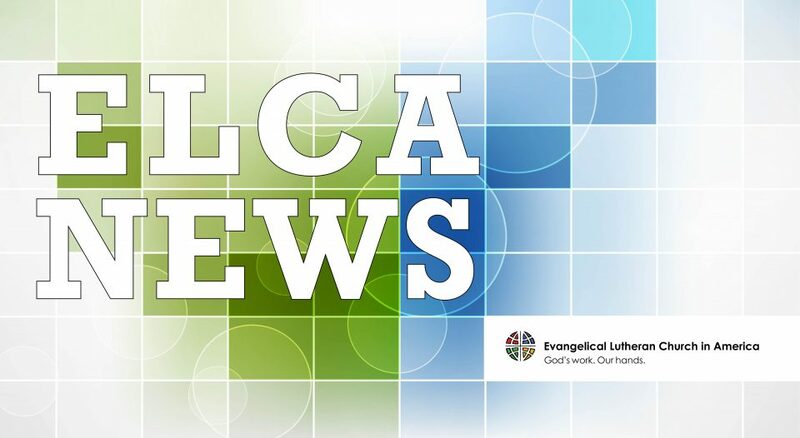 Elizabeth A. Eaton, presiding bishop of the Evangelical Lutheran Church in America (ELCA), has issued a pastoral message addressing President Trump’s executive order to restrict entry by refugees and visitors into the United States from seven predominately Muslim countries. Blessed are the merciful, for they will receive mercy. Yesterday, we heard these words in the Gospel reading from Matthew 5:1-12, the beginning of Jesus’ Sermon on the Mount. In the Beatitudes, Jesus lays out a vision for life in God’s realm, characterized by seeing those who are often most disregarded, including the meek, the mourning and the peacemaker, as bearers of God’s blessing. Over the coming weeks, we will continue to hear this Gospel, including Jesus’ call for his disciples to be carriers of God’s light and hope and reconciliation to a world deeply in need of them. In this spirit, earlier last week I communicated with the Trump administration asking that it not stop the U.S. refugee admissions program or stop resettlement from any country for any period of time. The Bible calls us to welcome the stranger and treat the sojourner as we would our own citizens. I agree with the importance of keeping our country secure as the administration stated in its executive order last Friday, but I am convinced that temporarily banning vulnerable refugees will not enhance our safety nor does it reflect our values as Christians. Instead, it will cause immediate harm by separating families, disrupting lives, and denying safety and hope to brothers and sisters who are already suffering. Refugees being resettled in the United States have fled persecution because of their race, religion, nationality, political views and/or associations. They wait for years for the chance to go home. But sometimes, there is no home for them to go back to. We know from our partners at Lutheran Immigration and Refugee Service (LIRS) that only 1 percent of all refugees are chosen for resettlement. People of faith helped start and still sustain the refugee resettlement program in the United States following World War II. As Lutherans, many of our ancestors faced the pain of having to flee their homes and the joy of being welcomed in new communities across the United States. As we have done throughout history, millions of Lutherans across the country honor our shared biblical values as well as the best of our nation’s traditions by offering refuge to those most in need. We are committed to continuing ministries of welcome that support and build communities around the country and stand firmly against any policies that result in scaling back the refugee resettlement program. We must offer safety to people fleeing religious persecution regardless of their faith tradition. Christians and other religious minorities suffer persecution and rightly deserve protection, but including additional criteria based on religion could have discriminatory effects that would go against our nation’s fundamental values related to freedom of religion. I invite ELCA congregations into learning, prayer and action on behalf of those who seek refuge on our shores. The ELCA “Social Message on Immigration,” AMMPARO strategy and LIRS resources are good places to start. You can also make a donation to Lutheran Disaster Response. Those who have been part of resettling refugees or have their own immigration experience have important stories to share with their communities and testimony to make. I also encourage you to consider adding your voice by calling your members of Congress to share your support for refugees and using online advocacy opportunities through current alerts at ELCA Advocacy and LIRS. In Matthew 25:35, Jesus said, “I was a stranger and you welcomed me.” Our Lord not only commanded us to welcome the stranger, Jesus made it clear that when we welcome the stranger into our homes and our hearts – we welcome him. Elizabeth A. Eaton is Presiding Bishop of the ELCA.